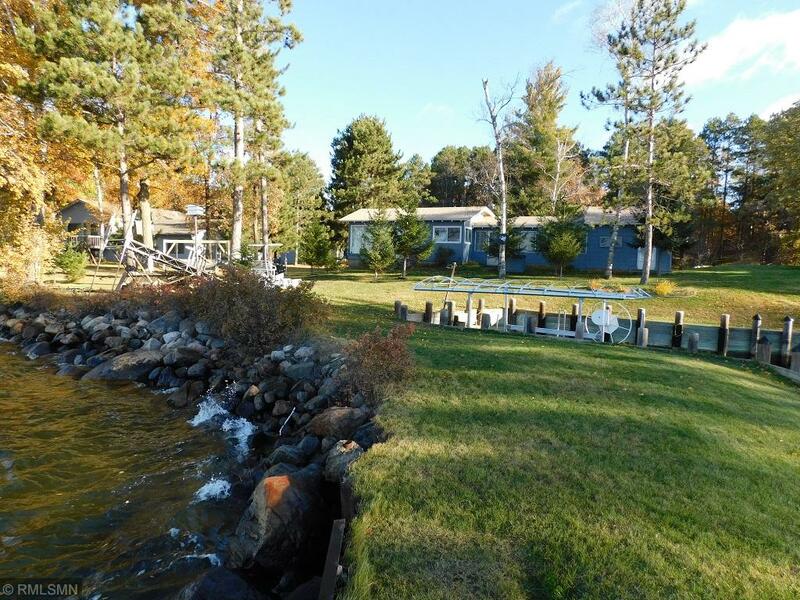 Charming seasonal cabin on Kabekona Bay boasts one of Leech Lake's best lots! This 2-Bed/1-Bath gem with perfect level elevation, a private harbor, & great swimming is 4 mi. from Walker on a quiet cul-de-sac, & includes a large lakeside sunroom, attached garage, a bonus shed, & is next to the Heartland Trail. Cabin comes fully furnished & ready for you to enjoy immediately, or you have the option to build your dream lake home. Comes complete with new roof in 2017, docks, & newer boat lift! Bill Hansen Realty/Longville is the brokerage office representing the seller for this listing.